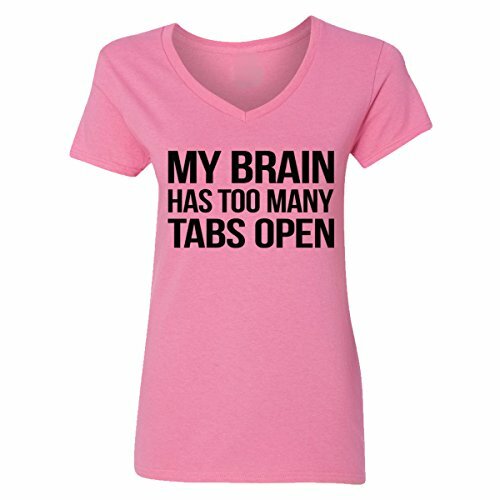 Camalen My Brain Has Too Many Tabs Open V-Neck T-Shirts for Women(Azalea,Medium) by Camalen at Sherlock Coat. Hurry! Limited time offer. Offer valid only while supplies last. This top-quality, 100% cotton V-Neck T-Shirt is printed direct-to-garment with new age technology that preserves the color-fastness of the design. ~Camalen~ is only AUTHORIZED seller for this listing. Please check SELLER NAME for getting ACCURATE items which shows up on the photos. Only ~Camalen~ accept unconditional RETURN. And ~Camalen~ is only seller to able to MANAGE this listing and photos. 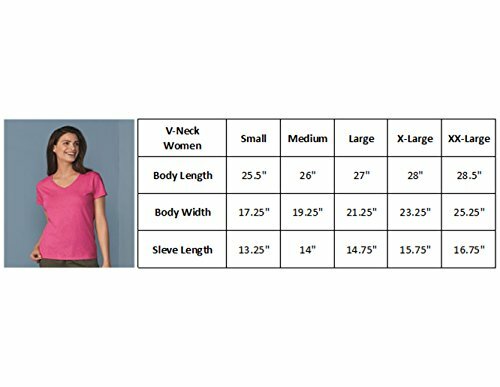 100% Cotton PreShrunk Cotton V-Neck T-Shirt for a Cool Comfortable Fit - Exclusive Camalen branded shirts designed and printed in the USA. Fully Machine Washable, Wash Inside out with cold water - Click on ~Camalen~ for visiting our Store for more items.